Over the next couple of weeks, we'll be inviting selected Seattle Opera audience members to use this blog to reflect on their experience with Amelia. 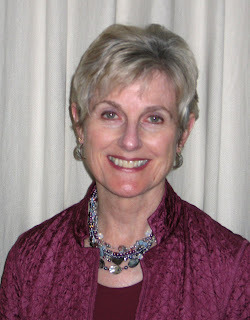 Today's post is by Seattle Opera Trustee and retired Virginia Mason Pathologist SUSAN DETWEILER. "Amelia is complex. Even though I knew the story in advance, I had to read every word of the English captions. For one thing, the words are beautiful—-one shouldn’t miss them. But the words and music are so entwined that the music requires the words and their emotional content. The conflicts expressed by the story are in the tension of the music, and the story is full of tension—-love of family and home versus duty to country and military comrades, longing for a dead father versus anger at his choice of duty over daughter, bombing an enemy versus regret for its harm, to name only some of the themes. The tension resolves at times--in the lullaby in the first act, later when the Navy Hymn soars in a prayer--and the music becomes quiet and melodic. What is brilliant is the way the message of the story and the music unite to penetrate one’s soul. Dodge’s heart-breaking conflict emerges in the music in perfect accord with the words. Because of this synchrony between the music and the message, for me, the scene in Vietnam forms the center of the opera. This is reality, without screens or abstractions, where Dodge dies in a war he at least partially regrets, where his daughter and wife face the visceral dilemma of their future. It also expresses for me the reality of post-Vietnam America: how we as a country live with the guilt for a war many of us deplore (see attached essay). In this sense, Amelia is a war story. War stories may have nothing to do with carnage or conflict and, in fact, the best war stories have nothing to do with war. Instead, as in this opera, they are tales of human existence. The urgency of war concentrates the human drama, and, in the way a magnifying glass focuses light, war compresses life, love and loss, honor and sacrifice, and birth and death. The best war stories then dissect human existence, the way a prism can split light into its colors, into the cost of love and loss in the aftermath of death. War destroys young lives to leave the survivors with a lifetime of reverberation to find the meaning of what was lost, to add its toll, and to ask why with an intensity ignored in the slow pace of ordinary life. This is the realm of opera and at the heart of Amelia." CLICK HERE to read Susan Detweiler's March 2008 essay about a trip she and her husband took to Vietnam, a trip which paralleled the trip Gardner McFall took while writing Amelia.